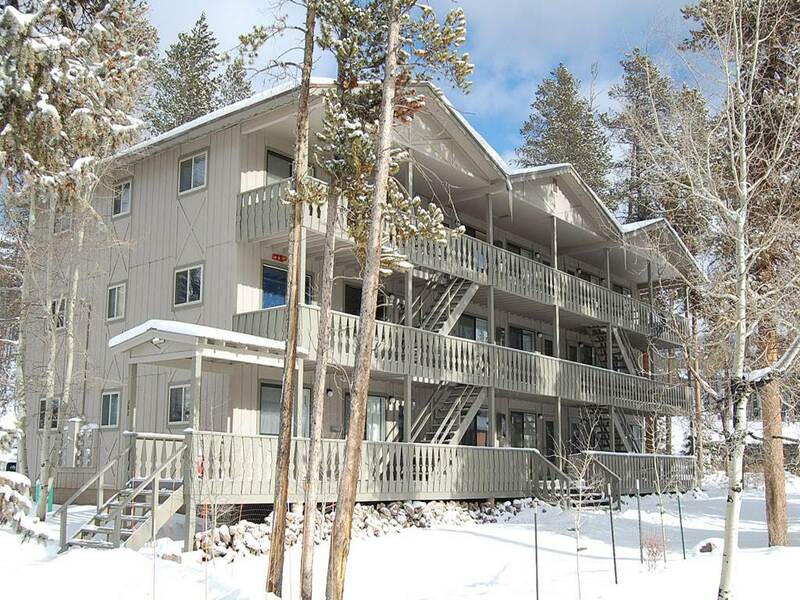 Cozy unit for a couples getaway - great bedding options, free Wi-Fi and hardwood floors. All are vary throughout the year. Please contact us for specific pricing. 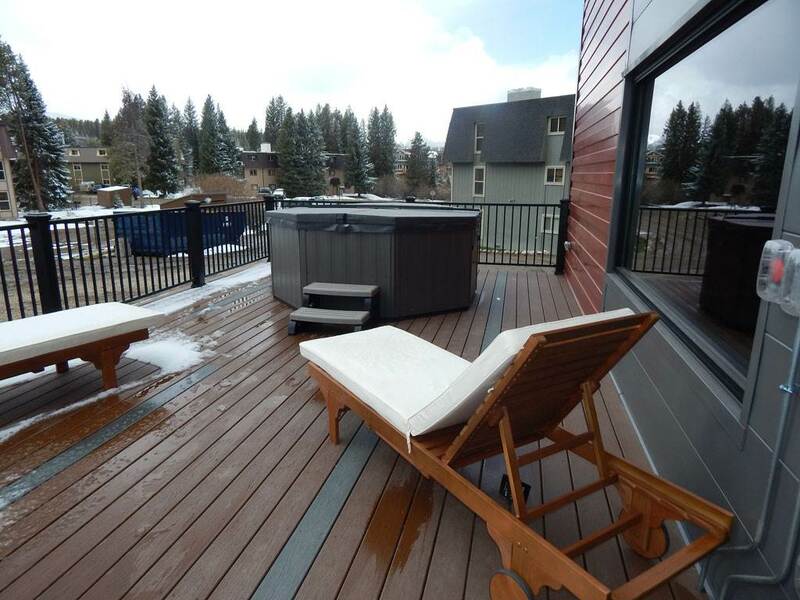 A Hi Country Haus Colorado ski resort package rental with a western themed 2 bedroom condo is located on the third floor of the building providing a wonderful getaway close to Main Street in downtown Winter Park. 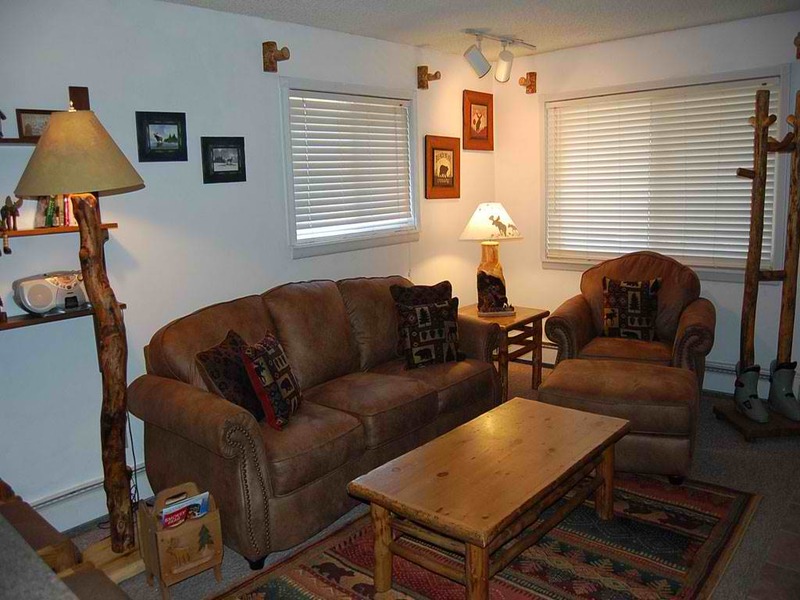 The main living area has a tiled floor throughout and is furnished with log accented lamps and lush leather sofa and chair furnishings. 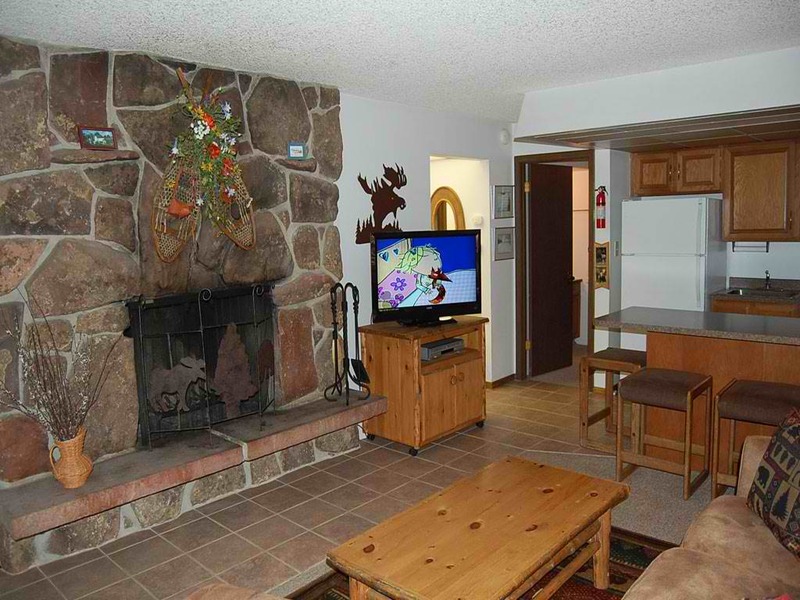 Amenities available to guest are the flat screen TV, VCR, CD player, wood burning fireplace and free in-unit Wi-Fi access. 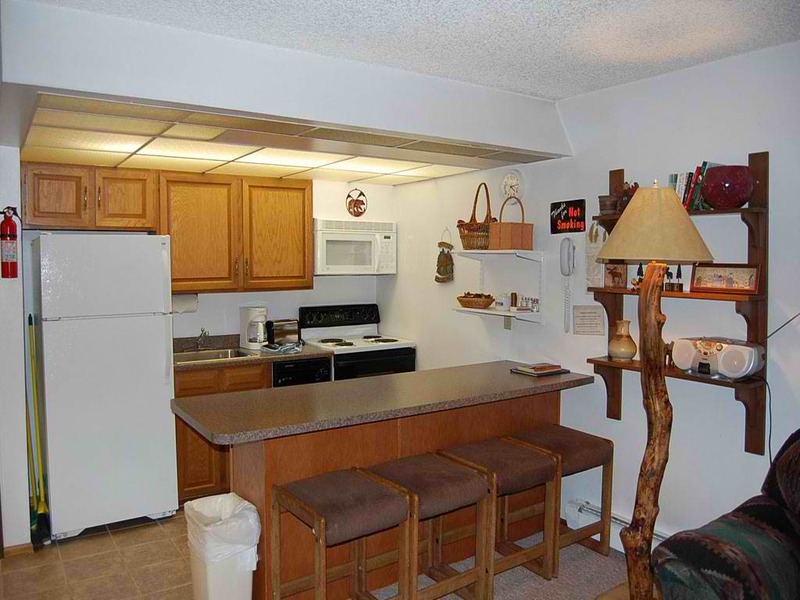 In the updated kitchen newer appliances flatter the new counter tops and cabinets. 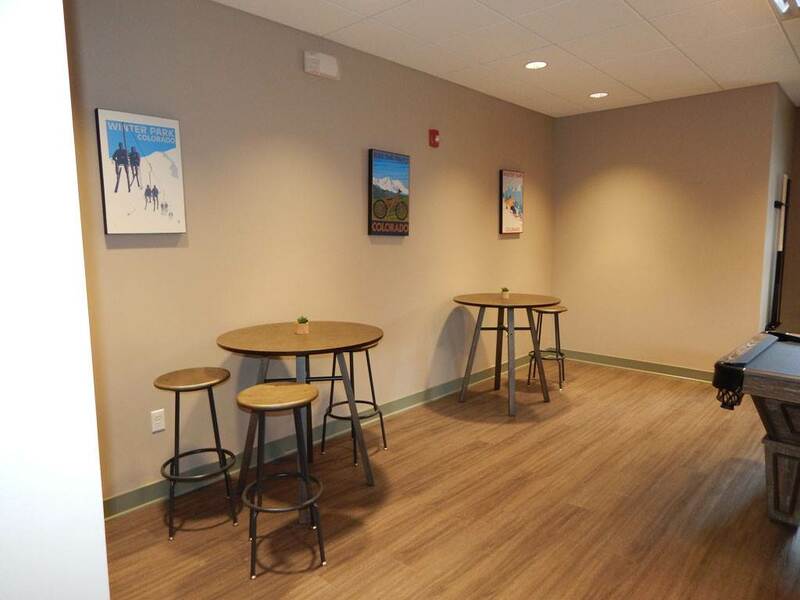 There is seating for 4 at the breakfast bar. 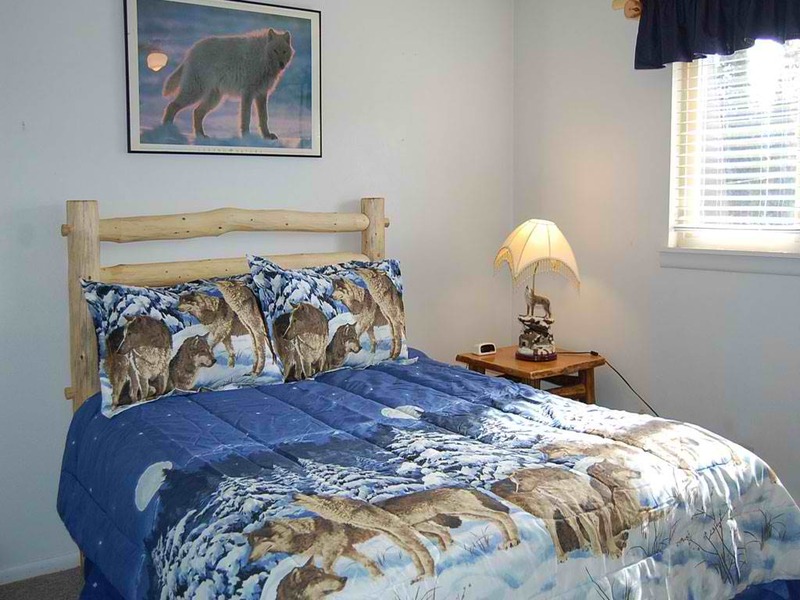 To enjoy a good night’s rest, the master bedroom has a king bed with hand peeled log frame with matching night stand. 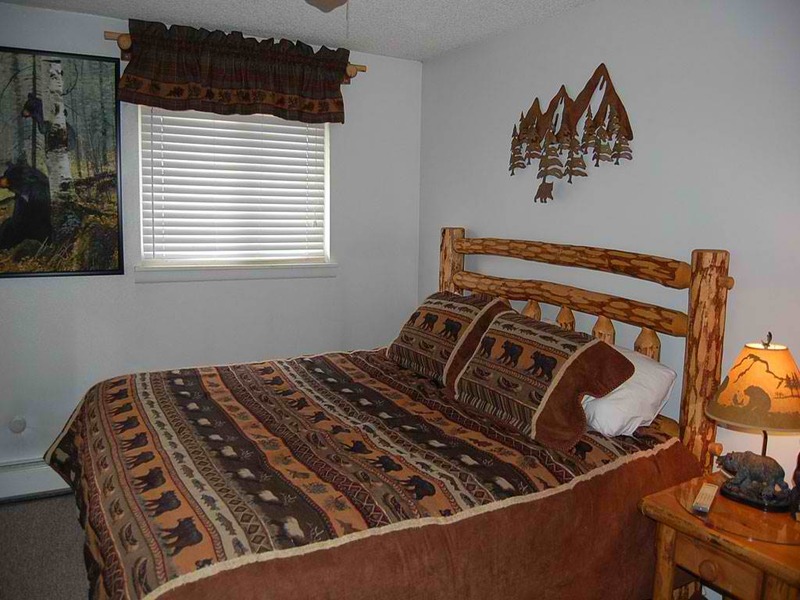 The second bedroom has a queen bed with the log peeled bed frame. This particular unit will only sleep 4 persons as there is no sofa sleeper in the living room, but a good option for 2 singles or two couples. 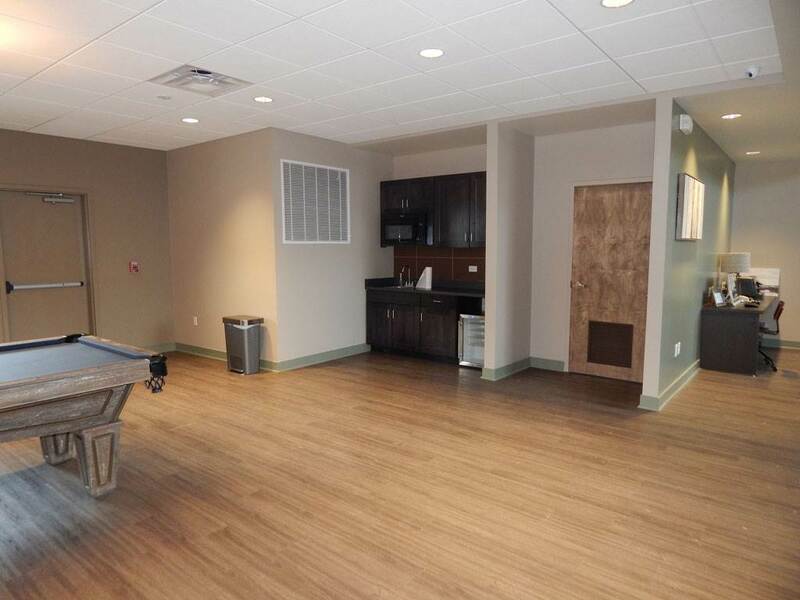 There is one full bathroom in the unit and the overall square footage of the unit is 707. Bedding Configuration: King in the Master bedroom and Queen in the 2nd bedroom. 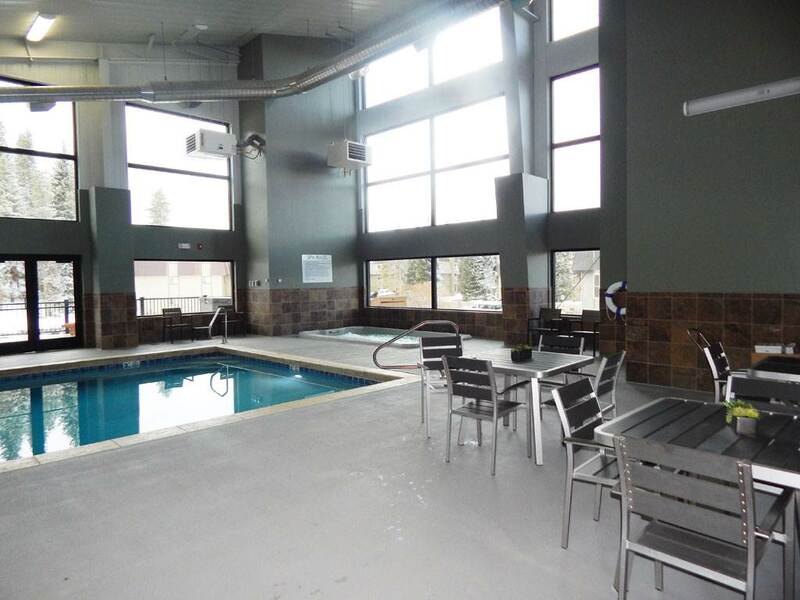 Amenities on property: Close to all the shopping, restaurants and outdoor activities. 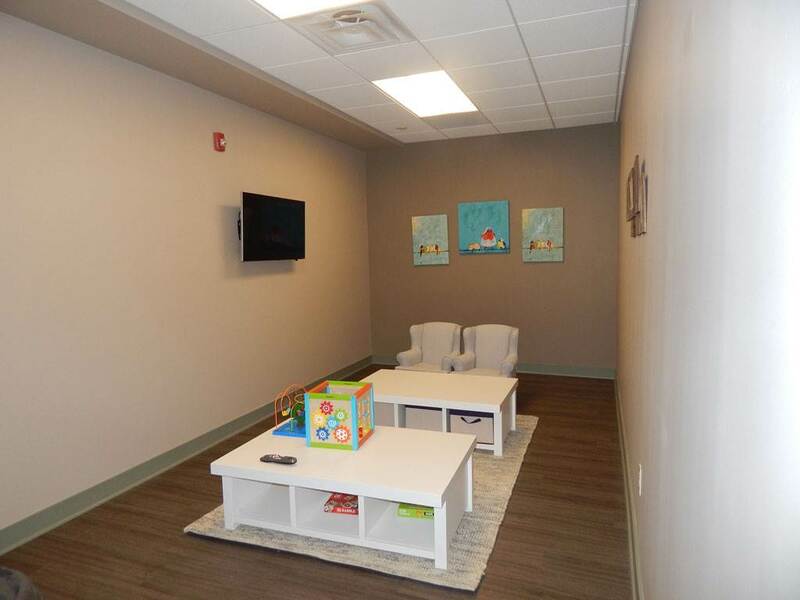 The new recreation center has a small children's area with games, flat screen TV and furnishings. 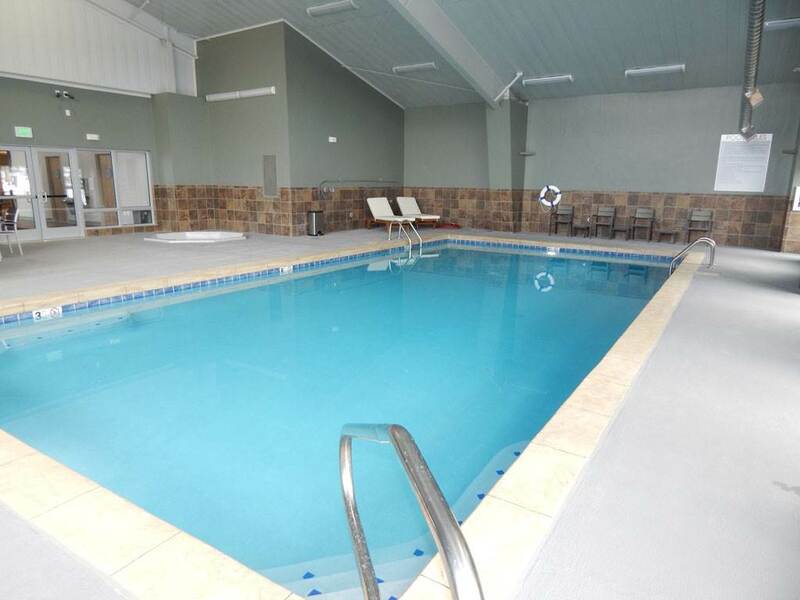 The large open great room has vaulted ceilings, pool table with table and chairs, small kitchenette. 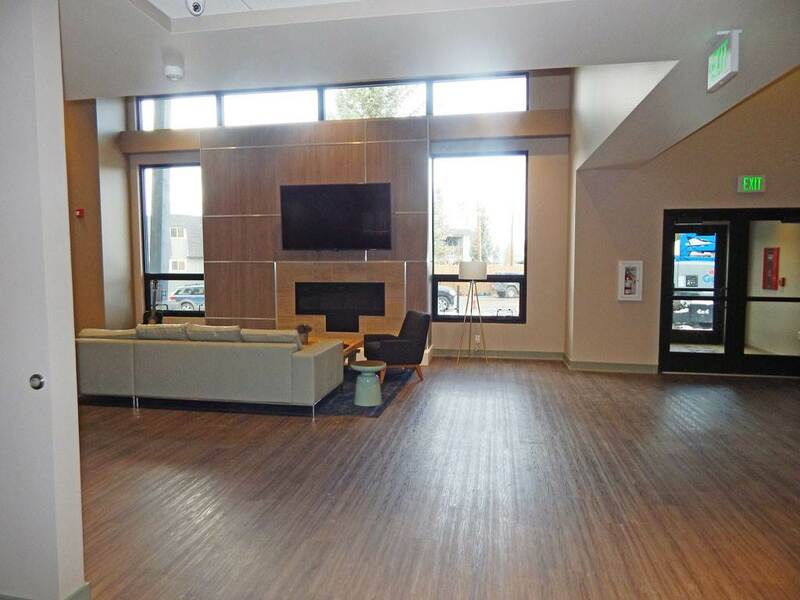 The main lounge area has expansive windows on either side of the gas fireplace and large flat screen TV. 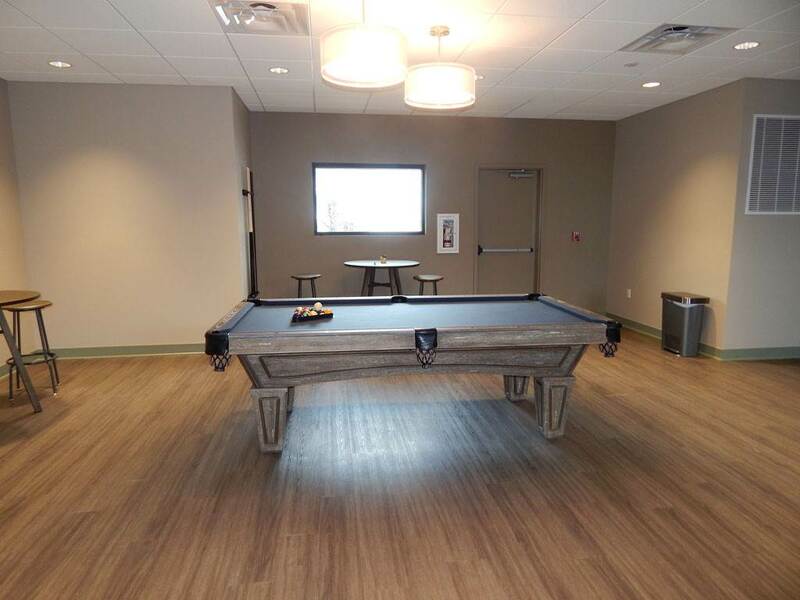 Adjacent to this area is a custom table and chairs for an area to read, play games or relax. 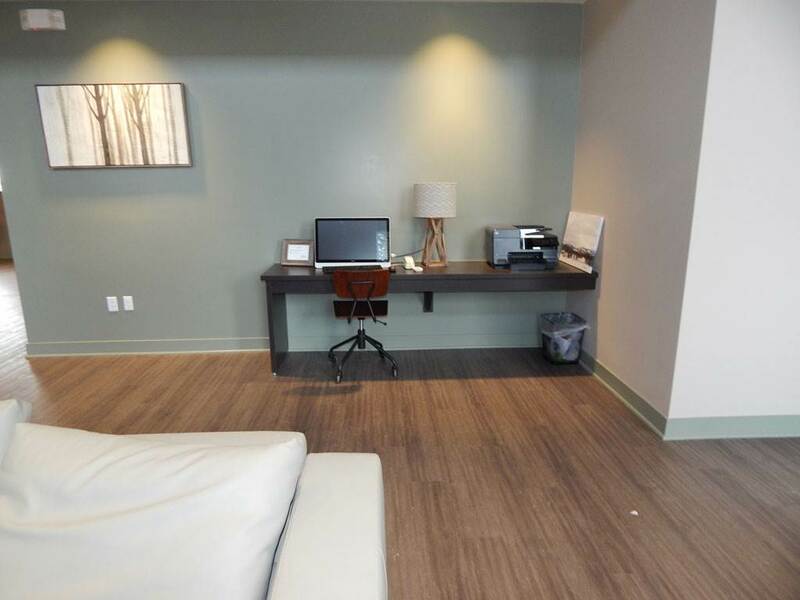 Guests can also use the free Wi-Fi access at the computer station that also has a printer. 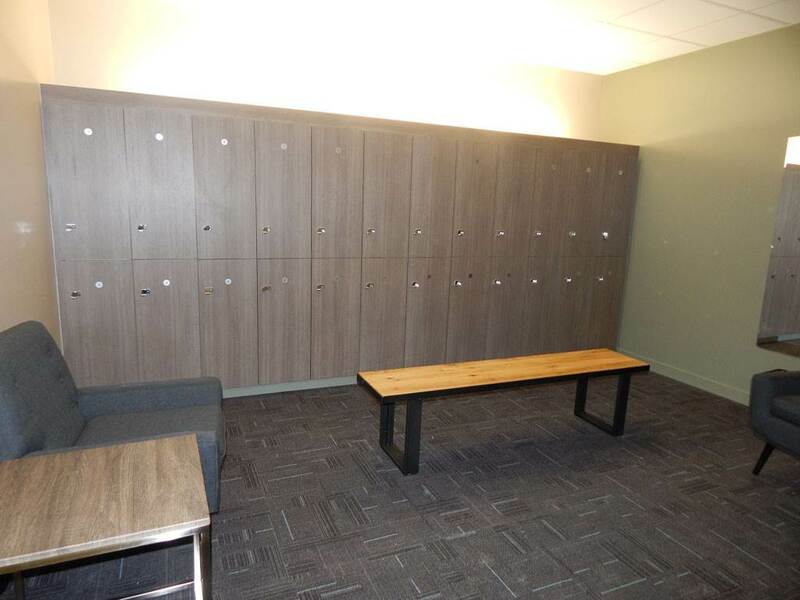 The lockers room are equipped with lovely tiled floors, bathroom stalls, showers and lockers. NO SMOKING AND NO PETS ALLOWED. 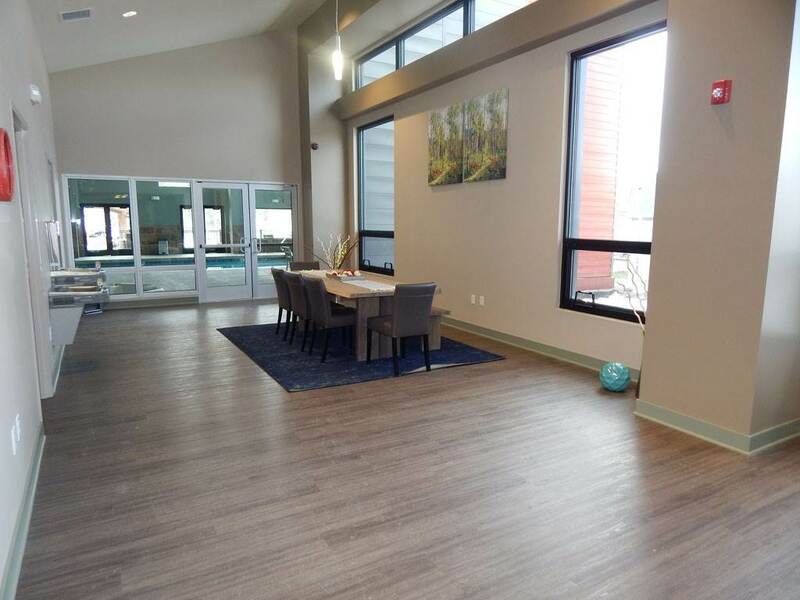 Homeowner Association rules at Hi Country Haus Condominiums do not permit guests to bring pets. These rules are strictly enforced. 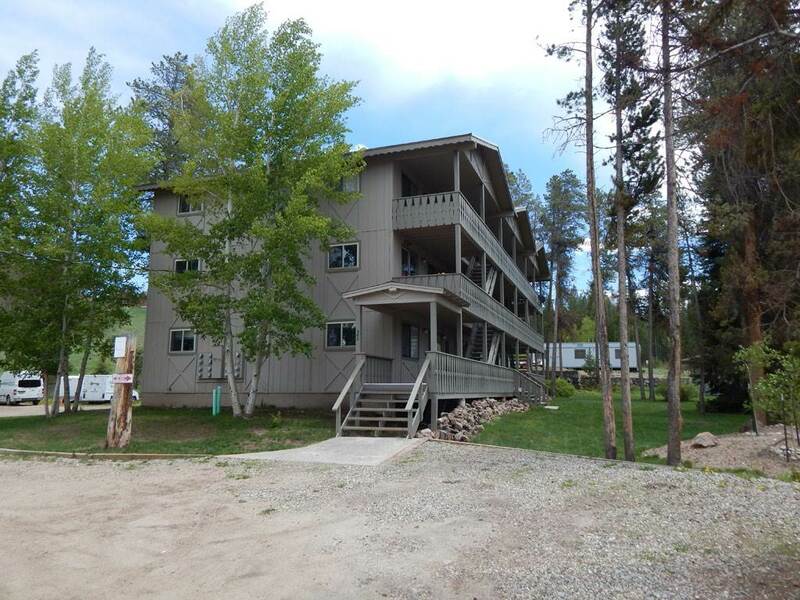 Guests will be fined $200 per day if they smoke or bring a pet on the property. Check in time starts at 4pm. 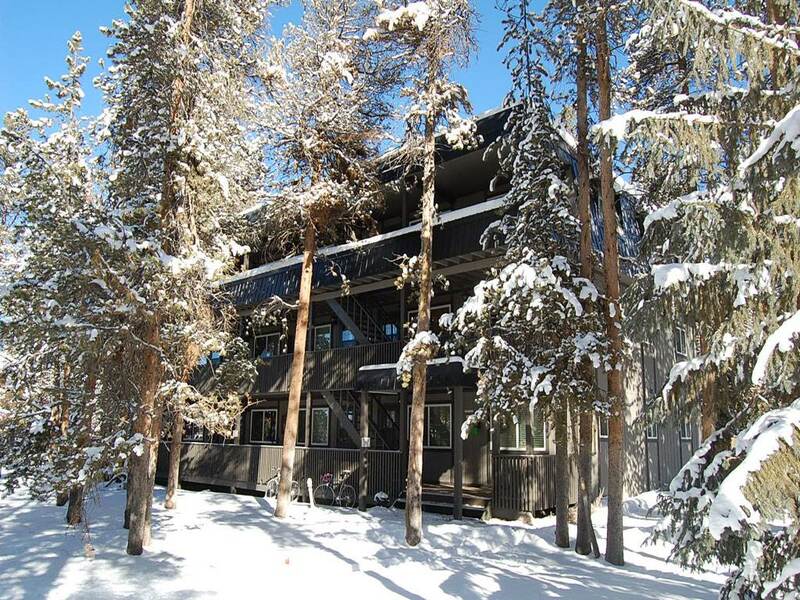 All guest need to check in at 50 Village Drive, Winter Park CO 80482. 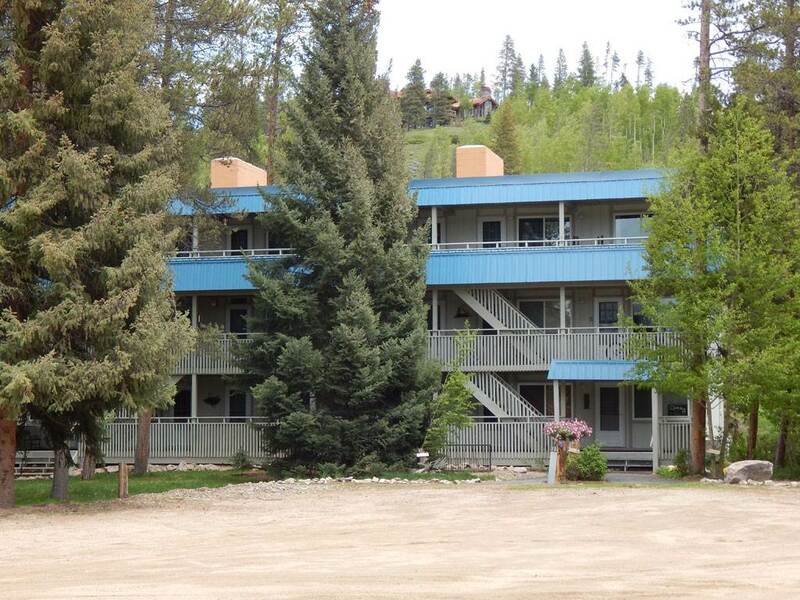 Guest arriving after 6pm, will need to contact us at 970-726-6200 to obtain the late check in instructions. Late check out requests are subject to availability and there will be an additional cost. 3 night stay except for Holiday and Spring Break. 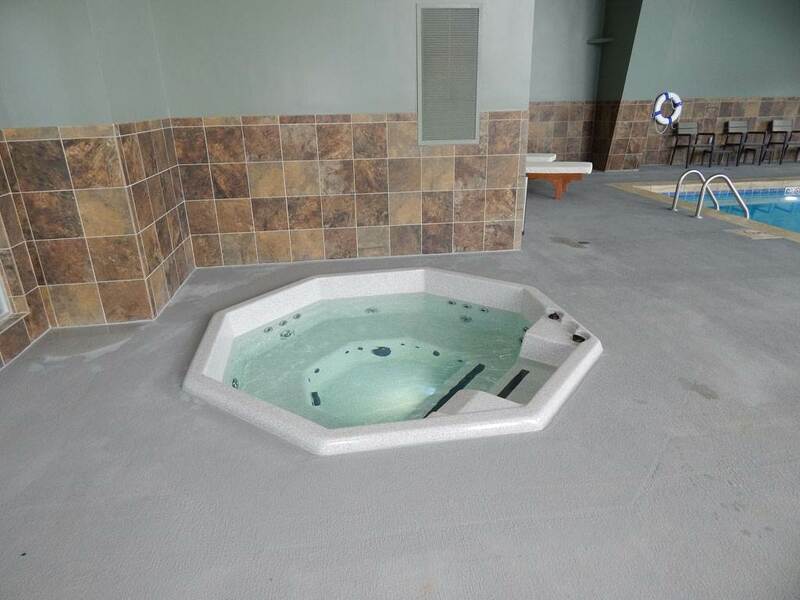 16.9% is not included in the nightly rates. Any monies, once received are non refundable without the purchase of travel insurance. The final payment is due 30 days prior to the arrival date. The home is non smoking and no pets allowed. In the spring and summer, Winter Park is known for mountain biking, concerts, hiking, and fishing.